This is a very important weekend in Bogotá! It’s the art weekend, which coincides with the International Contemporary Art Fair in Paris and Frieze in London. The biggest show is, of course, ArtBo (Art Bogotá), held at the second exhibition hall of Corferias, housing over 65 galleries from predominantly the Americas, an individual artists’ show, a young artist pavilion and a forum space. From ArtBo, the trend among Latin American artists seems to be crossover art. Artists project videos on sculptures and flat spaces; exemplars include a shelf of books on which spines have moving imageries and a shattered window on a wall that shows a flashing lightning scene of a city from Leandro Erlich. Others exhibit their videos (or rather, compiled slideshows) and input of the videos, such as drawings or photographs, side by side. These would have been paintings and pencil sketches in the last century. Sculptures are also prevalent, which are largely conceptual. Prints and photographs can be found on all sorts of surface including acrylic and bone. Artists have turned to anything you can think of such as the mango & blackberry (Wilfredo Prieto), felt (Mónica Bengoa and Ricardo Rendón) and stainless steel (Ricardo Cardenas). Pedro Tyler’s obsession with measuring devices is evident; whilst Liliana Velez Jaramillo’s with hair. In general even 2D art seems to be moving out of its realm. There were ‘pictures’ of empty rooms rendered in wall mounted light boxes, and 3D expressions like William Barbosa’s sculptural wall pieces, while the optical illusionists like Le Parc and Carlos Cruz-Diez continue to play with kinetics. 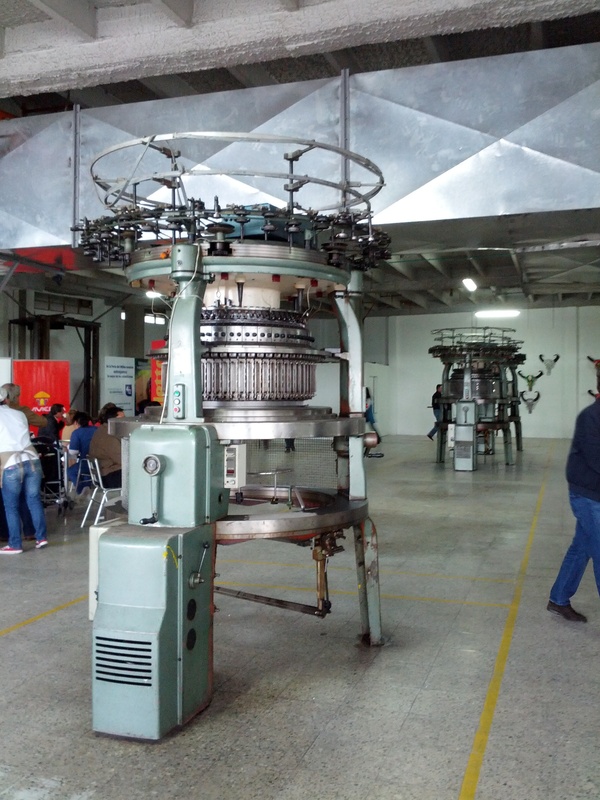 Occupying an ex-textile factory building in San Rafael, the industrial neighborhood of Bogotá, La Feria Del Millón (The One Million Fair, where all artworks are US$500 or less) may not be as big as ArtBo, but it does offer interesting view on Colombia’s emerging talents. In contrast to ArtBo, where the selection is decidedly conceptual, featuring social critiques in a wide range of mediums, Del Millón’s works in the more traditional forms of fine art that is more ‘displayable’ in the domestic sphere, and they tend to examine more reserved subject matters. More prominent representatives include the popular graffitist Toxicómano. Even if contemporary art is not your cuppa it’s worth going to Del Millón for the venue and location – a defunct factory in a bygone industrial estate (lots of factories have evacuated except for the odd ones like Postobón). Del Millón has a more energetic vibe with a stage offering indie live music performance. Artists are there to represent themselves, so you get to meet them in person and talk about their creations from their own perspectives.